Make no mistake: while beautiful and mesmerizing, fashion e-commerce is a brutally competitive online business. Standing out means knowing what your customers want and using several tools of the trade of both fashion and online commerce business. Fashion shoppers are looking for ideas that could make them look and feel better. Well, not just better but awesome. This requires that all photos and pictures are flattering, clear, and informative. Especially when selling fashion online, there should be multiple photos of each item from all angles (back and front). Moreover, a zoom feature should also be involved on the page for clear viewing. It is a good idea to have just one picture on the main catalog of the online store, but once a product is selected, the prospective customer must be able to view some more pictures. What do fashion shoppers look for when shopping online? How is Fashion Ecommerce Different from Any Other Online Commerce? Fashion shoppers expect to be seduced by the beauty of your website and collections. This is why retailers stir emotions with stunning high-quality and high-resolution visuals. Design, usability, content, and customization all require significant attention for your store to deliver a rich, immersive and intuitive online experience. What are the Main Challenges with Collections? Pre-orders, capsule collections, end-of-season merchandise, out-of-season – product cycles in fashion are many and time windows short. Showcasing, spotlights for “the look” of the moment, paid marketing and marketing automation help balance customer interest and the inventory levels. What devices will my customers use? Increasingly, mobile ones. In 2019, smartphones and tablets take a huge part of all online retail sales. The future looks even more mobile and multi-device. To cater to mobile users, make your store pages narrower, longer and easier to browse on a mobile phone or a tablet. Where And for What Do Shoppers use Mobile Phones? Mobile phones are great for product sharing and browsing, but not (yet) ideal for making purchases: screens are smaller, typing isn’t very convenient and the Internet connection can be spotty – especially for the shoppers on-the-go. Shopping apps, mobile-only website versions, and responsive websites mitigate these problems by presenting cleaner storefronts, storing account information, making adding favorites to wishlists easy, allowing users to minimize typing and notifying shoppers of specials in physical stores nearby. What is the Typical Conversion Rate in E-Commerce and How do Fashion Stores Improve It? Conversion rates in fashion range from 1.85% to 2.4% and vary extensively based on product complexity, sales value, checkout ease, market niche, etc. Improving the conversion rate is a long-term process and a constant challenge, where understanding buying journeys (right customers engaging at the right point in their buying cycle) and tracking profitability in detail are key. The first step is to experiment with offering free delivery and free returns, as well as promoting this prominently on the site. How do online stores minimize returns? Online fashion and apparel retailer often see return rates of 20% to 40%, with the poor fit as the number one reason. Free returns are great for customers, but, unfortunately, increase costs and management complexity. Availability of extensive customer reviews and innovative product visualization tools like virtual fitting rooms and fit guides with recommendations based on body weight and body shape can reduce returns by up to 50%. How Can Brands Convince Shoppers to Buy? The use of at least several marketing tools at the same time is a must for generating traffic and increasing conversion: video product demos increase sales 6% to 30%, marketing automation increases traffic, loyalty programs increase purchase frequency and can mobilize viral campaigns on social media. How can store owners provide a personalized shopping experience? The 80/20 Rule also applies to fashion e-commerce: 20% of the brand advocates will be responsible for generating at least 80% of the profits. Identifying and nurturing these customers is key to growing the business, and this task is simplified with the setup and use of Analytics (Google Analytics) and Segmentation (Oro CRM) tools. How do fashion retailers adjust product prices without tarnishing brand reputation? Discounts chip away at brand image and make customers less willing to pay the list price, so overusing discounting can easily backfire. 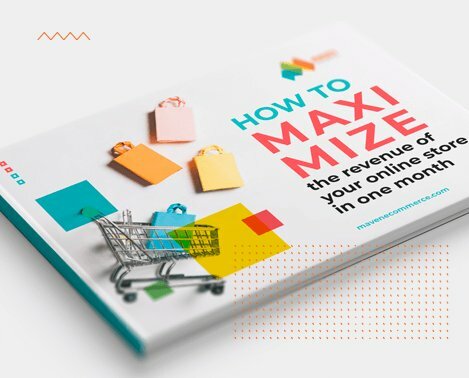 By segmenting your customers and designing personalized campaigns to price-sensitive shoppers, store owners can both sell excess inventory and maintain exclusivity. Explore personalizing email campaigns – and benefit from high open and click-through rates are in fashion retail with Segmentation and Email Marketing (Bronto, Mailchimp) tools. How to achieve customer loyalty and increase repeat purchases? Customers you already have and referred customers are your most valuable asset. Consider rewarding increases in purchase frequency and lower customer acquisition costs by launching a customer loyalty rewards program ( Smile.io). How can I make sure that my marketing programs have a positive ROI? Marketing automation in e-commerce has to be not only data-driven, but allow evaluating multiple channels on the same scale. Make sure to research and implement a marketing automation program that not only evaluates your campaign performance, but also suggests ways how you can improve it. We recommend using Bronto or a similar tool. What’s the Real Value of Magento? How Much Does a Magento store typically cost? Turnkey professionally developed Magento stores start from $10,000 with the cost heavily dependent on the extent of upgrades and customizations.